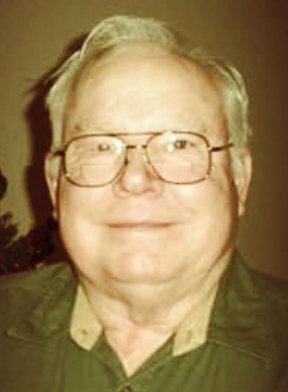 Obituary for Mike Kilhafner | McCombs Funeral Home Inc.
William M. “Mike” Kilhafner, 68, of Marble Hill, Missouri, passed away Sunday, October 21, 2018, at Saint Francis Medical Center in Cape Girardeau. He was born August 8, 1950, in Cape Girardeau, to William J. “Bill” and Ruth Bruce Kilhafner. He and Michele Seely were married December 30, 1970. Nine children were born to their union. Mike was a U.S. Marine veteran of the Vietnam War, serving honorably from December 6, 1967 to May 22, 1970. He then worked many years locally as a residential construction contractor. He was a member of Immaculate Conception Catholic Church in Jackson, and Sand Hill Hunt Club in Perry, Florida, where he enjoyed hunting wild boar and trapping wild animals. Loving survivors include his wife of nearly 48 years, Michele Kilhafner of Marble Hill; eight children, Kristy (Chris) Friedrich, Laurie Ford, Timothy Kilhafner, David Kilhafner, and Amy (Jake) Elfrink, all of Jackson, Stephen Kilhafner of Mount Pleasant, Michigan, Mark (Liz) Kilhafner of Poplar Bluff, Missouri, and Mary (Trevor) Milam of Cape Girardeau, 15 grandchildren; a great-grandchild; and two sisters, Karla (Eric) Marquart of Cape Girardeau, and Joanne Gregory of North Carolina. He was preceded in death by a son, Joey Kilhafner; two brothers, Thomas and David Kilhafner; and his parents, William J. “Bill” Kilhafner and Ruth (Phil) Klingman. Visitation is from noon to service time, Monday, October 22, 2018, at Immaculate Conception Catholic Church in Jackson. Father John Harth will celebrate Mass at 1 p.m., Monday, October 22, 2018, at the church. Committal and military honors will be held at 3 p.m., Monday, October 22, 2018, at the Missouri State Veterans Cemetery in Bloomfield, Missouri. Memorials may take the form of contributions to Immaculate Conception Catholic Church in Jackson. McCombs Funeral Home in Jackson is in charge of arrangements.